I love chipmunks! We have a couple by our home here in the mountains. I put cut fruit out for them, the strawberries that are past it, the wrinkled grapes, and so on. Our cat sits on the window sill endlessly watching for them. One of them runs back and forth, tail high, between our deck and the nearby woods. His tail flicks back and forth as she watches him run onto the deck. I agree. They are a bundle of energy. Always on the move and entertaining to watch! Deserves five stars for cuteness, as well as for creativity in the title! Yes, a precious little fellow! Yes, they always bring a smile! What a delightful and beautifully marked little creature. 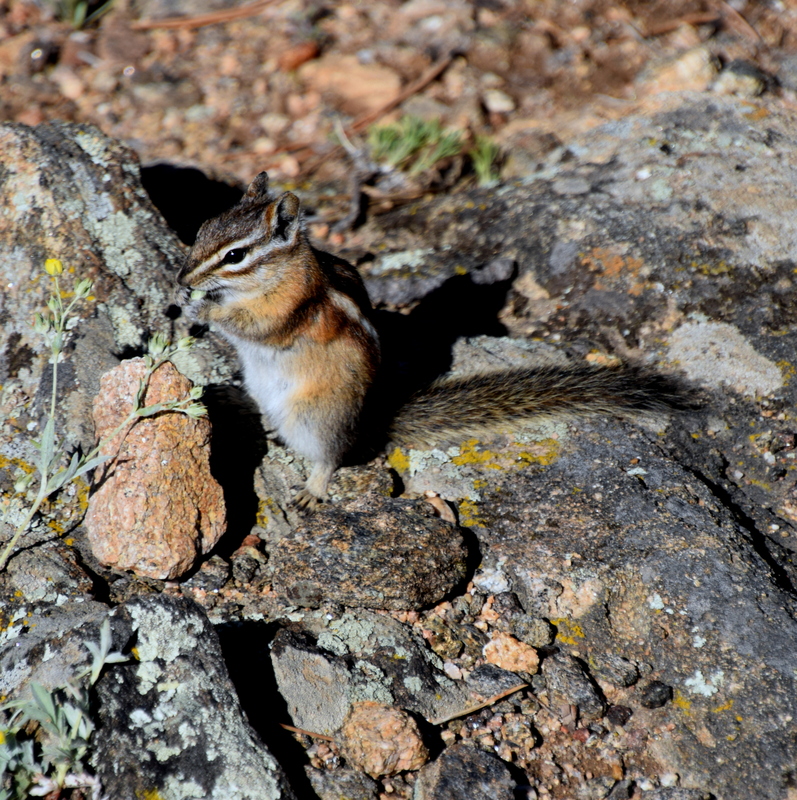 Yes, chipmunks of different varieties are plentiful in Colorado. Love these guys. Great capture and fantastic vantage point. I love them, too. They are so fun to watch!